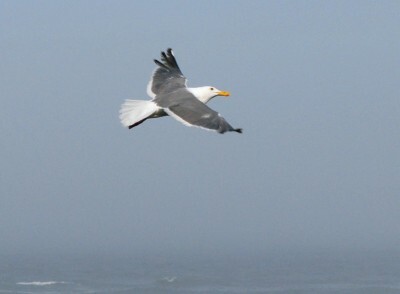 In the morning, Roy tried to get a few pictures of the gulls that were regularly flying past our balcony. 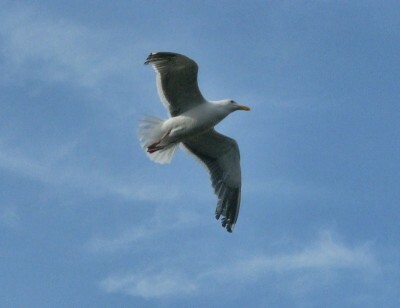 He found that it's challenging to capture birds in flight. Shelly had spotted a cafe called the Little Brown Hen. 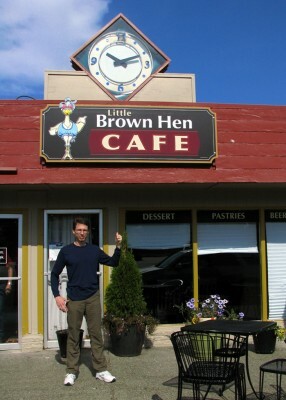 We thought we'd pick up a sweet roll for breakfast and get a picture with the sign (it's a chicken thing). 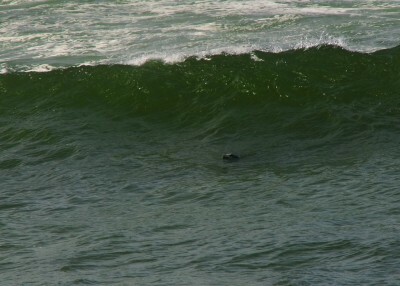 It was a very busy place, and after waiting for 10 minutes for a seat, we asked for our roll to-go. 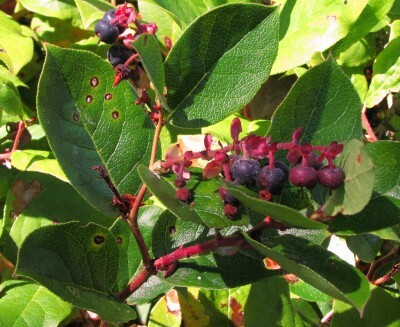 We had seen salal berries all over, but did not know what they were. Our next stop was Woodsman's Native Nursery, purveyors of fine native berry jams and such. 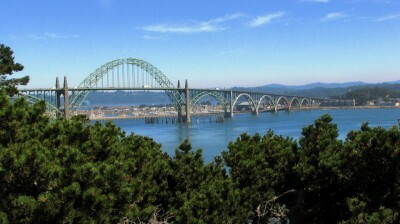 Their products are carried at shops all around the area, but the best prices are at the source. We picked up huckleberry, loganberry, marionberry, and wild salal jellies or jams, and marionberry syrup. 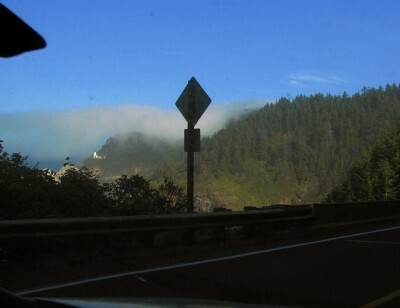 Heading up the coast, we went by Heceta Head again, and were into new territory. 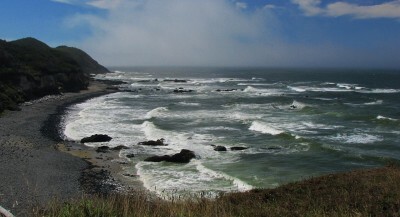 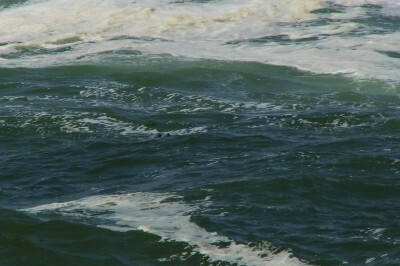 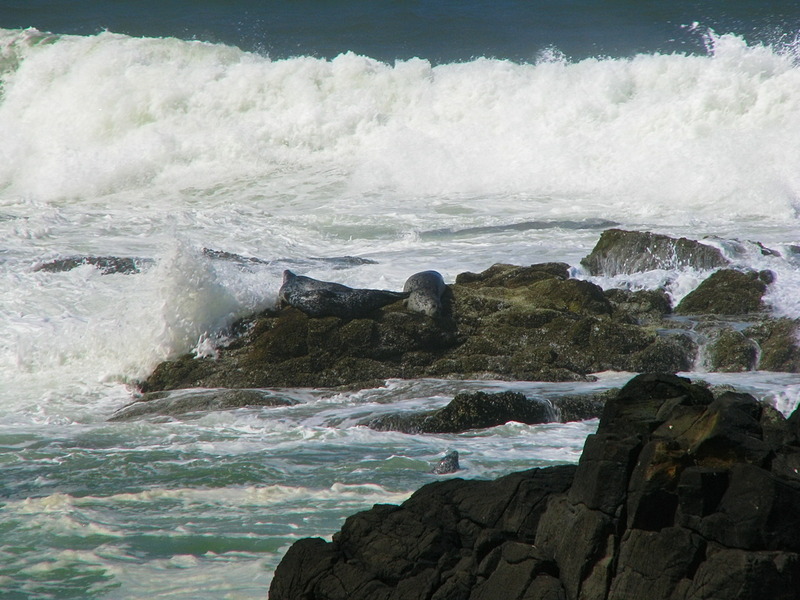 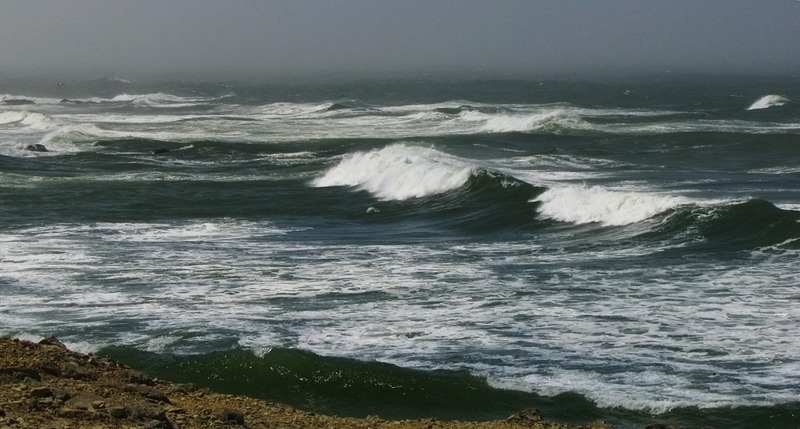 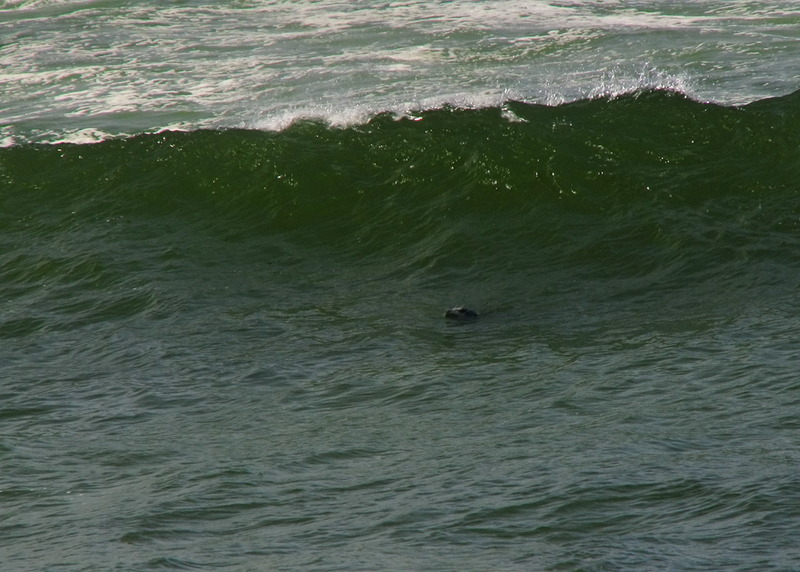 We had a rewarding stopover at Strawberry Hill, where we saw some harbor seals struggling with the pounding surf. 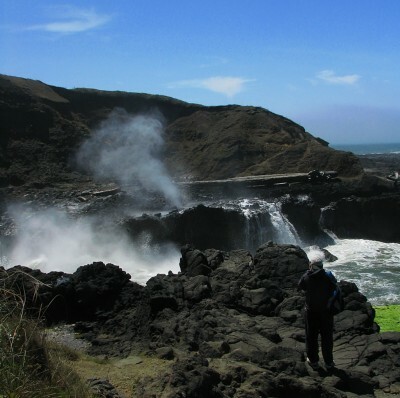 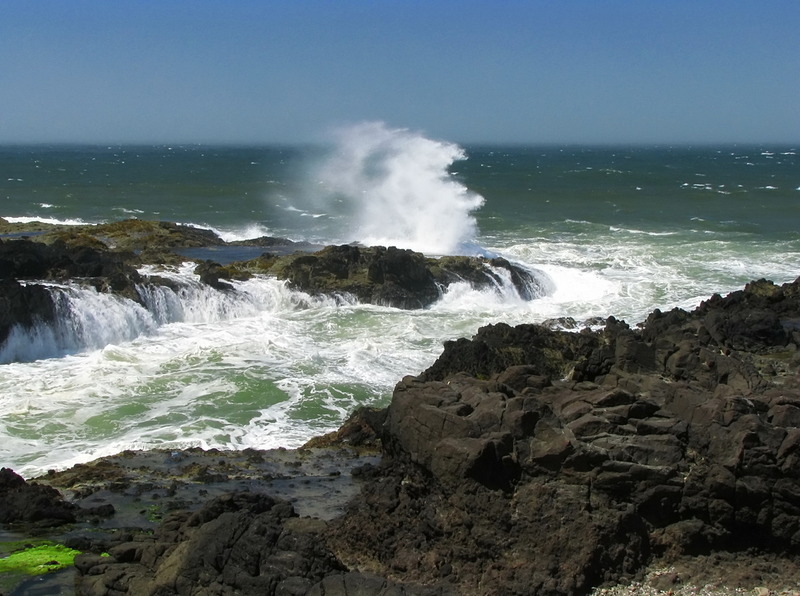 Just south of Yachats (yuh-HOTS) is Cook's Chasm Viewpoint and the Spouting Horn Viewpoint. The tide, which we had wanted to be out for tidepooling, but which was fairly high, worked in our favor for these. 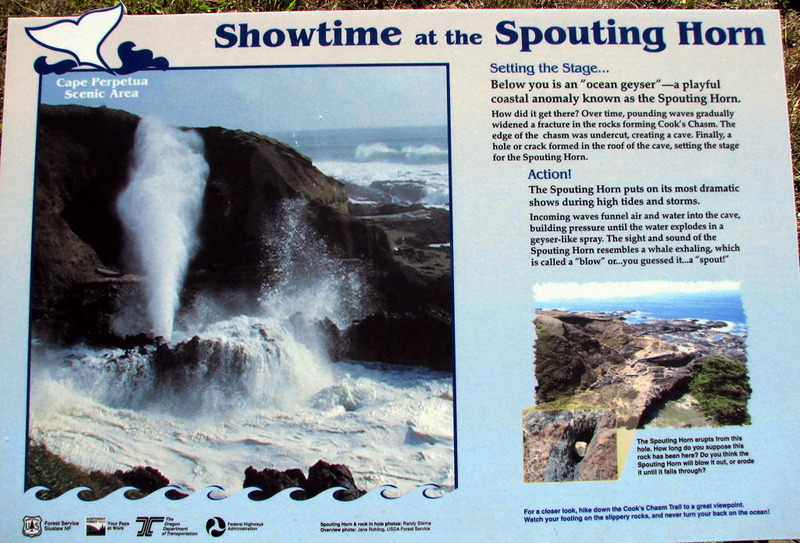 At high tide, water comes into a channel, goes beneath the rock, and then spouts out of a hole. 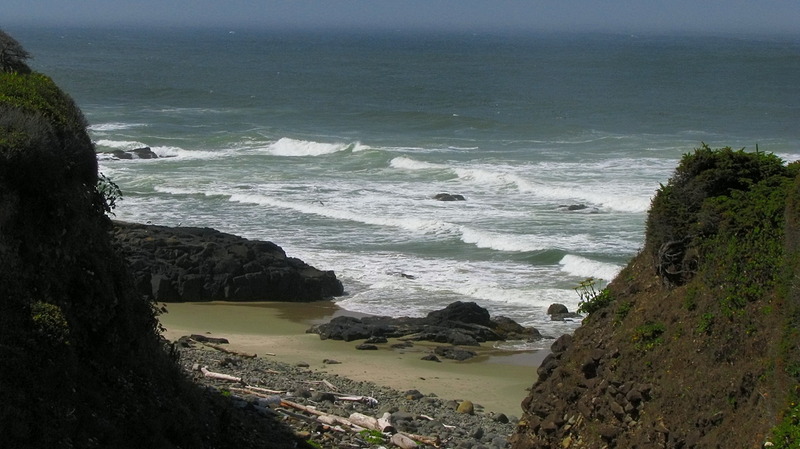 At low tide, you won't get much of a show. Just south of Newport is the Yaquina Bay Bridge, and the Yaquina Bay Lighthouse. 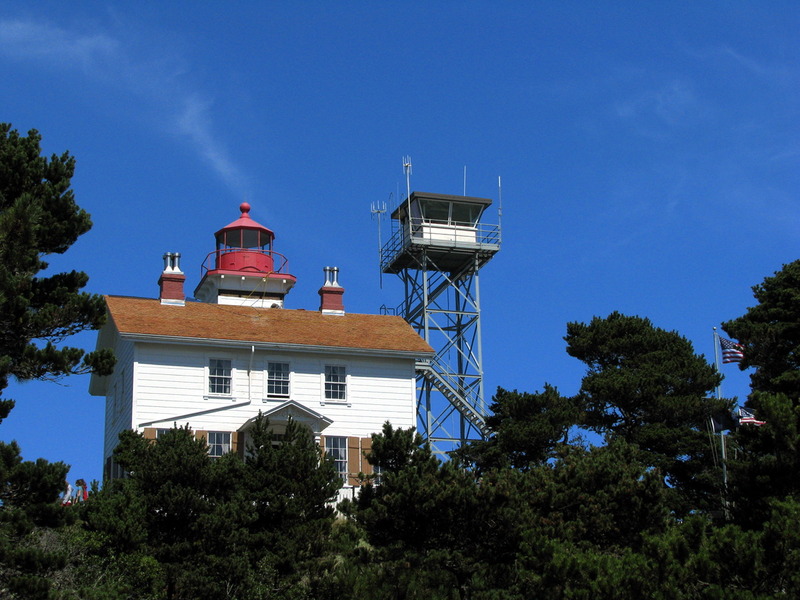 Not to be confused with the Yaquina Head Lighthouse further up the coast, the Bay Lighthouse is mounted on top of a house and is intended as a guide for ships to find their way into the bay. 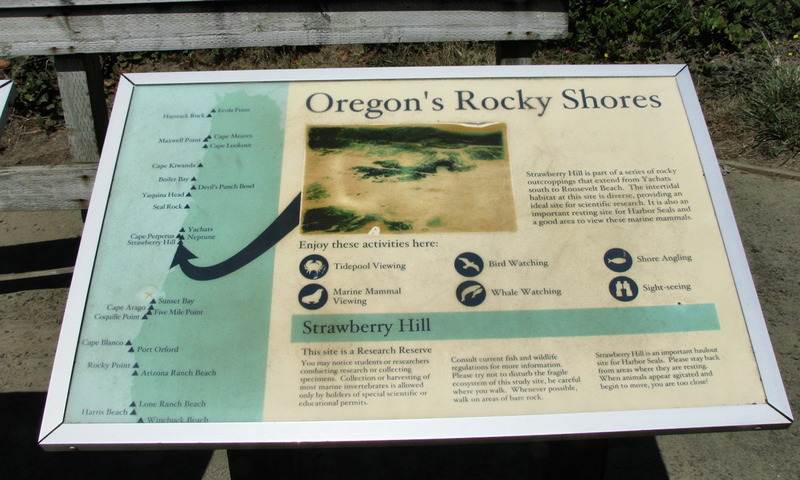 It was a fairly brief stop for us.